An Instragram business analytics dashboard lets you visualize all your Instagram analytics for your business' Instagram account in one convenient spot. It's your way of tracking everything from post engagement rate to Instagram ads to Instagram Stories to new followers. Social media is an essential digital marketing channel, and Instagram is no exception. It's important that you're able to effectively track and monitor your marketing efforts through data visualization. Here's what an Instagram business analytics dashboard entails. What is an Instagram Business Analytics Dashboard? An Instagram business analytics dashboard is an analytics tool that lets you visualize and track your key Instagram KPIs to better understand your Instagram audience. You'll be able to pull data directly from Instagram Insights in real-time so you can demonstrate the value of your Instagram campaigns to clients or marketing executives. Why use an Instagram Business Analytics Dashboard? Reporting on your social media marketing campaigns is key to creating good relationships with clients and showing clients the value of your work. By using our Instagram analytics tool that lets you choose individual metrics for Instagram content, you can easily explain how your marketing strategy impacts your clients' bottom line. What are the benefits of using an Instagram Business Analytics Dashboard? Besides enabling you to combine all your Instagram analytics into a single platform, your analytics dashboard also helps you: hone in on your target audience, educate your client on what you do and why it's important to them, be transparent with your client and foster a trusting relationship with them, and showcase your positive results in a simple, straightforward, and effective way. Create your own Instagram Business Analytics Dashboard today! What are the best Instagram Business Analytics Dashboard KPIs? There are many different Instagram metrics you can use to track the success of your Instagram posts. Your dashboard should include the data points that provide you and your client with just enough information to understand the big picture of their Instagram performance, without overwhelming them with details. Top posts are the top performing posts that have received the most likes. 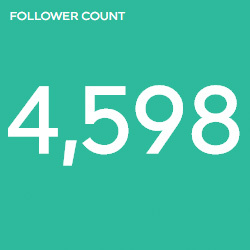 Follower count tells you the number of followers for your Instagram account. 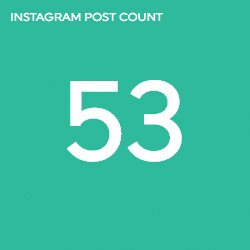 Likes are an engagement metric that tell you how many Instagram users have liked your posts. The post count is the number of posts that have been published on your Instagram account. 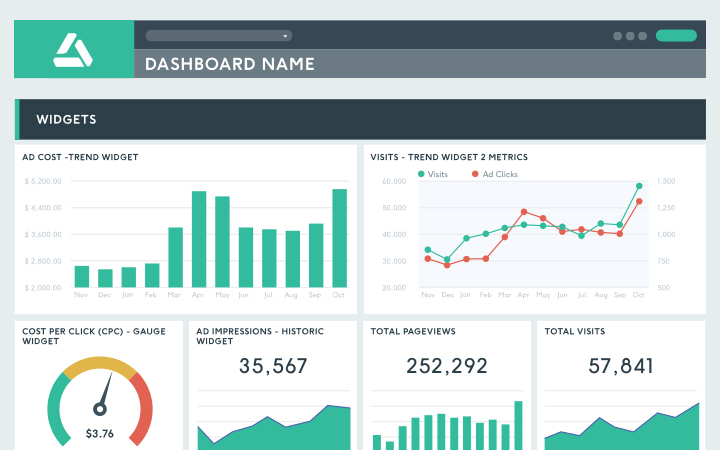 What platforms should a social media marketing dashboard include? You're probably using more than Instagram for your social media marketing. A social media marketing dashboard should include data from every channel you use for your marketing strategies. DashThis supports more than 34 integrations, so you can track all your social media marketing efforts in one single dashboard. Create your own Instagram business analytics dashboard with all the metrics you'll need to track the success of your Instagram marketing efforts. You can start with a preset template, customize a template, or build one from scratch. Plug in your own data from Instagram Insights for easy data visualization. 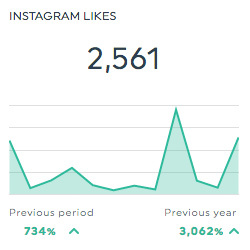 Displaying your Instagram analytics is as easy as 1-2-3! All you need is your email and a password. Plus, you can start by using the tool for free! Link your Instagram account to DashThis and we'll fetch the data automatically! Choose from among our preselected dashboard templates, or create your own from scratch. It's all a matter of dragging-and-dropping the KPIs you want! Since your analytics dashboards are really your way of showing the results of your marketing efforts to your clients, it's important that they reflect your brand. Replace the standard DashThis interactive dashboard URL with one branded to your company (dashboards.yourcompany.com maybe?). Get a marketing performance dashboard with a custom, white label design that reflects your brand's colours, fonts, and overall vibe. Save on a custom URL and design with a white label bundle that includes both! Your digital marketing dashboard just the way you want! DashThis has dashboards for every marketing specialty, depending on the type of data you want to track and for whom. Facebook is one of the biggest social media platforms in the world, so the potential audience reach is impressive. A Facebook dashboard can help you make the most out of this channel. LinkedIn is a fantastic platform form B2B marketing. Measure the performance of your LinkedIn page and your campaigns with our LinkedIn dashboard. Instead of building reports for each individual social media channel, use our social media dashboard to track the key KPIs for all your social media platforms in a single spot. Digital marketing without measuring, reporting, and analyzing is like flying blind! Get tricks of the trade from our team to create the best Instagram dashboards that your team and your clients can use regularly to create better campaigns and marketing strategies!